The International Stoke Mandeville Wheelchair Sports Federation (ISMWSF) is recognized by the World Pool Billiard Association (WPA), the world governing body of pocket billiards, as governing all international competitions concerning wheelchair pocket billiards.? 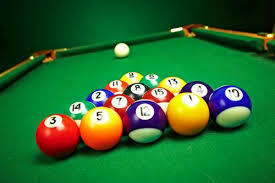 Except when clearly contradicted by these additional rules, the?General Rules?of Pocket Billiards apply. ?